Mumba: Bollywood actress Katrina Kaif during Holi celebration in Mumbai on March 21, 2019. JERUSALEM: Israeli Prime Minister Benjamin Netanyahu, U.S. Secretary of State Mike Pompeo and U.S. 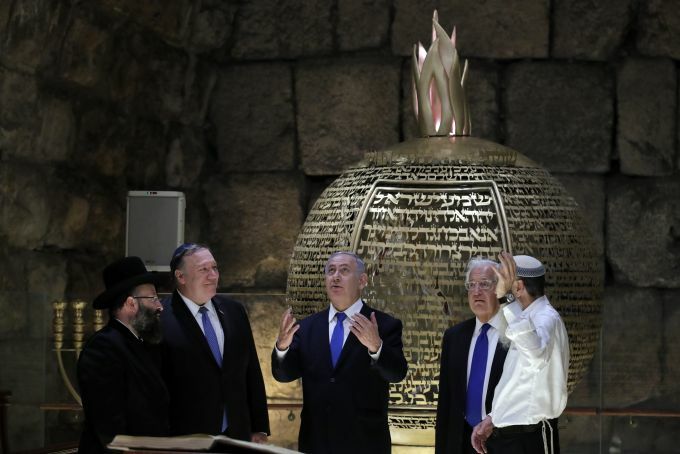 Ambassador to Israel David Friedman visit the Western Wall Tunnels in Jerusalem's Old City, Thursday, March 21, 2019. 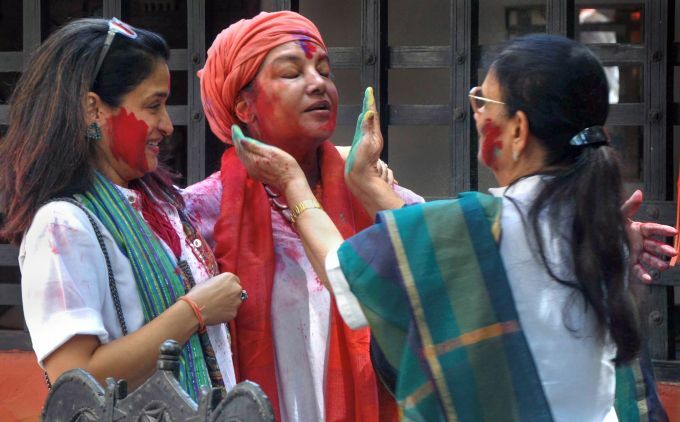 Mumbai: Bollywood actor Shabana Azmi plays holi during the Holi festival celebration, at her residence in Mumbai, Thursday, March 21, 2019. Chennai: Skippers of Chennai Super Kings (CSK) MS Dhoni and Royal Challengers Bangalore (RCB) Virat Kohli at a practice session ahead of IPL 2019, in Chennai, Thursday, March 21, 2019. 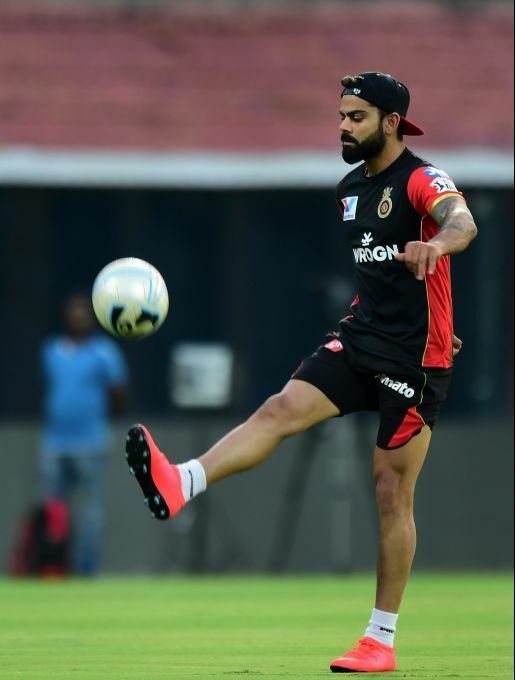 Chennai: Skipper of Royal Challengers Bangalore (RCB) Virat Kohli at a practice session ahead of IPL 2019, in Chennai, Thursday, March 21, 2019. 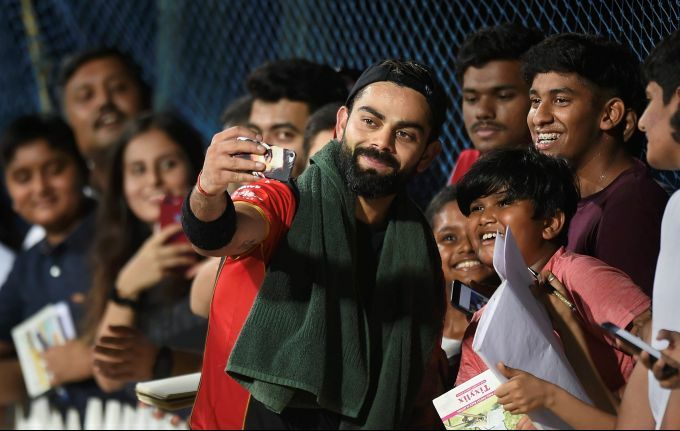 Chennai: Royal Challengers Bangalore (RCB) skipper Virat Kohli takes selfie with fans at a practice session ahead of IPL 2019, in Chennai, Thursday, March 21, 2019.